The SaddleBrooke Realtor Team That Will Make A Difference! As a Top SaddleBrooke Realtor Team, we bring a new perspective to real estate. We work for you! That means we answer your questions, provide advice and focus on exceeding you expectations. Whether you are moving to Tucson or another city, the process can raise stress levels. Selling a home. Buying that “perfect” new home and moving into a new community. We use our prior professional experience to answer your questions on what to do and how to do it. We listen to you! Your interests, concerns and goals. Our experience shows home buying ideas, wants and needs will change. We know that buying a home, either a resale or new construction, is a process. A process we understand. We know the market, the communities and how to “get it done”. If you have questions about buying or selling a home in SaddleBrooke, contact us. Tap into our professional experience and knowledge of the SaddleBrooke market. “Read What Our Clients Have To Say” about our services. Give us a call to discuss our backgrounds, experience and our services. Please NOTE – You may need to add our email addresses kim@premiertucsonhomes.com and ben@premiertucsonhomes.com to your spam blocker “approved” list to receive our follow up email. Thank you for submitting your request for information. 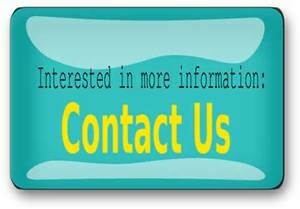 We will get back to you shortly to discuss your interests and send you the information you are interested in receiving. Did you ever consider how to distinguish between the thousands of Tucson Realtors? All Tucson Realtors want you as a client. The key questions is “which one do YOU want to work with”? Some Tucson Realtors tout their years of real estate experience. But is 20 years as a Tucson Realtor 20 years of experience OR only 1 year of experience 20 times? If you want more from your Realtor, take a look at our backgrounds. Over 50+ combined years business professionals BEFORE starting a career in Tucson Real Estate. Our extensive business backgrounds and certifications separate us from the thousands of Tucson Realtors. We will make a difference when you buy, or sell, a SaddleBrooke home. We are THE Professionals in Tucson Real Estate and a top SaddleBrooke Realtor team. The right SaddleBrooke Realtor can make a big difference. Our clients use the words – professional, honest, integrity & trusted. We hold those words and our clients in the highest regard. Review our Profiles and read “What Our Clients Have to Say“. Then give us a call. We are always ready to discuss our experience and our approach to serving you. Then make the call. Who do you want to work with to buy or sell a home in SaddleBrooke. As a top SaddleBrooke Realtor Team we will exceed your expectations! For those interested in knowing more about Tucson here is a bit of the History.